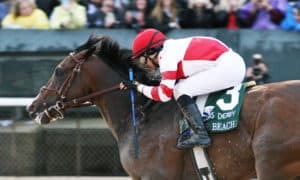 The final Kentucky Derby prep race of the 2019 season is finally here. The Arkansas Derby (G1), set for this Saturday at Oaklawn Park, is more important than ever this year. Out of the 11 entries into the race, none are safely in the Kentucky Derby starting gate. That urgency makes this special contest that much more entertaining. 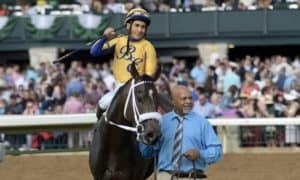 Oaklawn Park has been one of the top producers of Triple Crown race winners over the last 20 years, and 2019 could be more of the same. 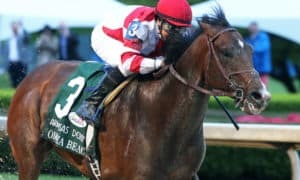 The quality of this year’s running starts with Omaha Beach, who ships back to Oaklawn from California for the second straight time after winning one of the Rebel Stakes (G2) divisions in his last start. The Richard Mandella-trained colt has won two straight, including a romp in the Santa Anita Park mud to break his maiden. 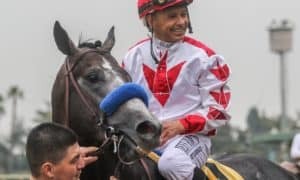 Jockey Mike Smith will once again have the mount when Omaha Beach breaks from post 3. Hall of Fame trainer Steve Asmussen has entered four here, including the other Rebel division winner Long Range Toddy, who drew post 11 here. Jockey Jon Court will have the mount for the second straight race after his perfect ride led to the big victory. 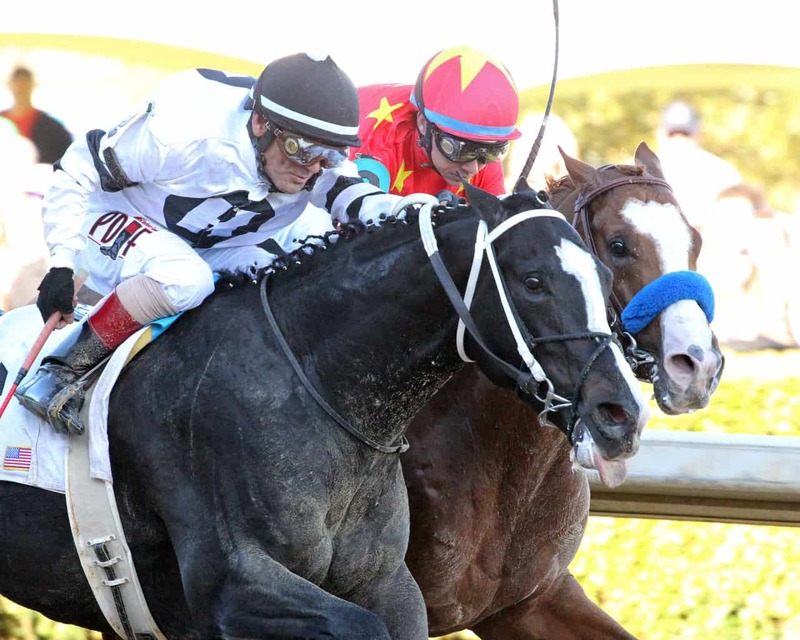 The Take Charge Indy colt also won the $400,000 Remington Park Springboard Mile as a 2-year-old. You can never count out trainer Bob Baffert when he comes to Oaklawn Park, and this year, he brings Improbable to Arkansas for the second straight race. He was a close second to Long Range Toddy in the Rebel last time out, the first loss of his career. He gets the service of new rider Jose Ortiz when he breaks from the rail as the 8/5 favorite while wearing blinkers for the first time. The full field from the rail out: Improbable, Six Shooter, Omaha Beach, Tikhvin Flew, Laughing Fox, Gray Attempt, Galilean, Country House, One Flew South, Jersey Agenda, and Long Range Toddy. #3 Omaha Beach – There is an extremely slim margin between the three big stars in this race, which made picking a winner very agonizing. 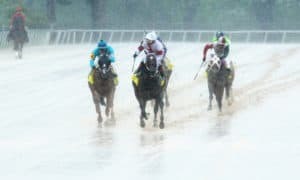 Omaha Beach, Improbable, and Long Range Toddy could all win on Saturday, but in the end, Omaha Beach gets the slight edge, especially since the forecast is calling for rain. His romp in the slop two back may have been the best performance of his career, and he has been training beautifully since his win last time out. He should be ready to take another step forward. #1 Improbable – Anytime Baffert sends a horse to Oaklawn Park, you have to pay attention. For weeks, we waited for Improbable to make his 2019 debut, and when he turned for home in the Rebel, it looked as though he was getting ready to put on a show. Long Range Toddy ran him down late, though, and he lost by a neck. 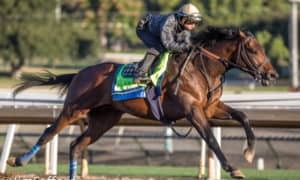 Baffert has since added blinkers, which is has many wondering if Improbable is struggling to develop like we had all hoped. Still, his talent is immense, which is what makes him so dangerous in this race. You must respect him coming into this spot. 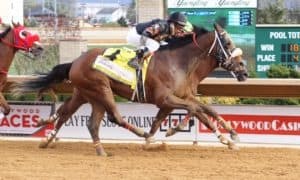 #11 Long Range Toddy – In a big upset, Long Range Toddy was able to defeat our then-number one-ranked Kentucky Derby horse, Improbable, in the Rebel last time out. He showed a new dimension, using a solid kick late to get up for the win. In the past, he looked to be more of a one-paced grinder, which made his Rebel victory all that much more impressive. The key here will be to prove that he can reproduce that type of effort once again. Some believe that his last effort was a fluke, which is why you could get a nice price on him in this spot. He seems to be peaking at the right time, which makes him a must play in this spot. #8 Country House – Mentally, this horse has had problems all year long, but he does seem to have a good deal of talent. Two races back, he closed nicely in the Risen Star Stakes (G2) to finish second. In his next start, though, we didn’t see that same turn of foot when he finished fourth in the Louisiana Derby (G2). He was studdish in the paddock that day, though, which could explain the lackluster effort. If he behaves a better here, then he could come with a big late run down the lane. #7 Galilean – His third-place effort behind Long Range Toddy and Improbable last time out was solid for his first time against open company; however, he was not a threat to the top two finishers. 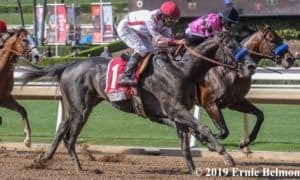 There is no doubting that this California-bred horse has some quality, and he is going to be a handful all year long out west, where several big state-bred races have his name on them. Against open company, though, this type of race might just be a little too tough for him. #6 Gray Attempt – There are serious doubts about his abilities to run this far, which are more than fair considering what we’ve seen from him. His serious early speed makes him dangerous in any race that he enters, including this one. If they allow him to go out and set the pace all by himself, then there are scenarios where he can at least hit the board. Long term, he is probably better going one turn, but if his price floats up high enough, then he is worth a small shot. Check out our Inside Track to the Arkansas Derby wagering guide for exclusive Arkansas Derby analysis! #2 Six Shooter – Out of all the throw outs, he seems to be the one most likely to have an impact on this race. All three of his races at Oaklawn Park this year have been ok, but he has never been that close to winning. With this being his toughest challenge yet, it’s not likely that he can turn that around, but perhaps he won’t embarrass himself in this difficult spot. #4 Tikhvin Flew – This New York-bred ships down to Oaklawn Park after failing to earn points in the Gotham Stakes (G3) at Aqueduct last time out. This spot seems much tougher, which likely means that he will struggle. 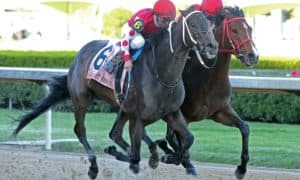 #5 Laughing Fox – After two straight victories at Oaklawn Park, he tried his hand at stakes company in Omaha Beach’s Rebel last time out, which resulted in a seventh-place finish. It looked like he was pretty outclassed in that spot, and that is exactly what could happen again here. #10 Jersey Agenda – After two failed attempts in the Rebel and the Southwest Stakes (G3), it’s hard to see him doing much better in this race. He will likely play a factor into the pace, but that will be his only impact. 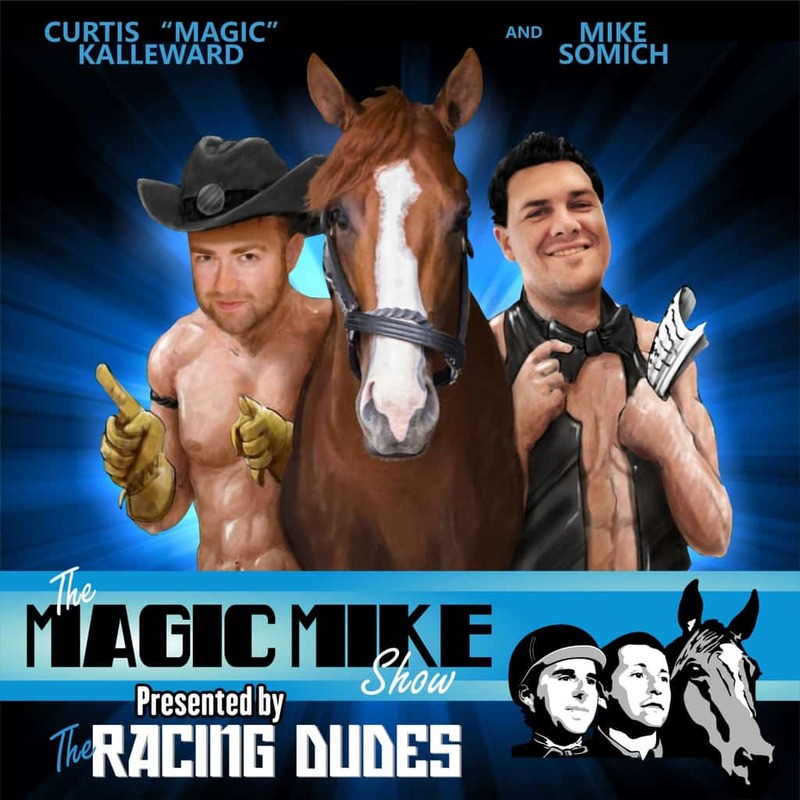 #9 One Flew South – Trainer Doug O’Neill continues to take shots at Kentucky Derby preps, but he hasn’t had much luck this year. This is his last-ditch effort to try to get a starter into the Kentucky Derby. This horse’s last race was not good; he finished fifth in the Mine That Bird Derby at Sunland Park. He must improve greatly in order to have much of a chance here. Can you tell me are The Racing Dudes a panel of handicappers? I notice in your free picks you only publish 1 pick and never 3 or 4 horses that you feel will hit the board. Just wondering. 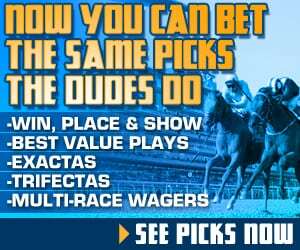 Aaron is our site’s main handicapper and does both the free picks (giving 1 horse) and the premium selections (giving up to 4 horses, including which ones are best candidates to win vs just hit the board, or who to use in multi-race sequences).